All that and a King Cake Too! King Cake season is gone, but we made lots of them for the locals. I did my own survey and the most popular flavor fillings were .... cream cheese and pecan....cream cheese....cream cheese and strawberry....cream cheese and blueberry....cream cheese and apple....blueberry...chocolate...bavarian...cinnamon pecan. I am so excited! With my nickname Cream Cheese Queen, which was given to me by renowned food stylist Lisa Teiger of Cuisine Etc, New York City, I am really living up to the title. I will begin making my Easter Cross Cakes the week prior to Good Friday and plan to track the flavors again. I really should buy some stock in Kraft. Taste of Mardi Gras - Alexandria Style! The Taste of Mardi Gras 2009 was held at the Alexandria Riverfront Center on February 20, 2009. With over 3500 in attendance, we had a steady stream of tasters for 3 hours. Rick and I laughed and reminded each other that this was like those days back at LSU when we worked concessions! We also reminded each other that we had done that many years ago and that we "still have it!" Too much fun, with the neighboring booth being frozen hurricanes and margaritas, not only were we in an awesome location, but we were in the "fun zone." We served our Mardi Gras Coleslaw in Asian Boxes with wooden chopsticks and our now famous "N'awlins Style Bread Pudding with the Pecan Praline Sauce". We served 39 full steamtable sized pans of the pudding topped with 8 gallons of the praline sauce and over 1500 boxes of the coleslaw. Next year we will bring the entire family up from Baton Rouge and get them a table to enjoy the festivities. Over 38 food and drink vendors participated and we are proud to say we were among the best! Best Catered Events will be joining in with thousands of others and enjoying wonderful food and fun at the Louisiana Farm Festival to be held March 12-14 in beautiful Moreauville, LA. We can also cater any company or corporate event at your location! If you are in the Marksville, Bunkie, Cottonport, Bordelonville, Plaucheville or surrounding areas be sure to drop by. 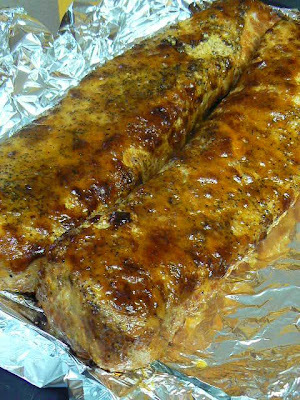 Tell Dianne that you read about the BRISKET DOG and she will give you 25% off your purchase! Best Catered Events, we do what we love and we have fun! 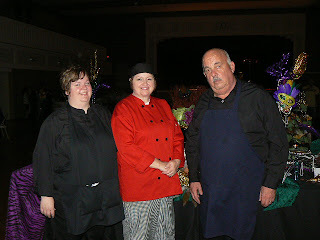 Over the past 19 or so years, my husband Rick and I have catered hundreds of special events. Weddings, retirements, showers, luncheons, birthdays, you name it, we have likely done it. 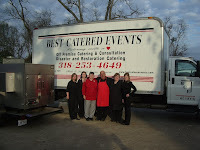 We started out as Catering by Dianne in Zachary, LA , then I wanted to update our name so we were called Dianne and Company Catering in and around the Baton Rouge, LA area and with a few other bumps in the road here and there over the past few years, we are now called Best Catered Events. We operate our commissary in Marksville, LA on Hwy 1. We have a 28' fully functional mobile kitchen, a Southern Pride Smoker/Cooker, a 20' box truck with a hydraulic lift and the right attitude to get any catering job done...and in style! My grandmother always told me that anything worth having was worth working hard for, and that is just what we do. This new adventure with our catering has brought us back to a simpler way of doing things. 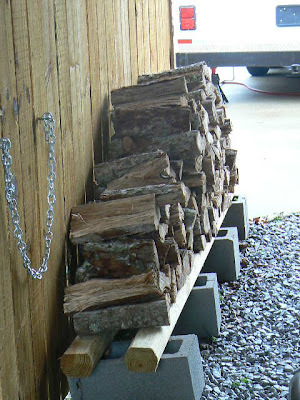 We do barbeques with our "Smoke Gets In Your Eyes" barbeque division at any location in and around CENLA. Bunkie, Alexandria, Opelousas, Shreveport, Natchitoches, Natchez, Lafayette, New Orleans and folks from around Lake Charles have all enjoyed our cooking. We love to watch the faces when someone tries our brisket for the first time. We marinate our briskets for a minimum of 2 full days and smoke them for 13 hours. Wonderful!! You bet!! No prepackaged precooked meat here....just great flavor....brings you back to those Sunday afternoon cookouts with friends and family at reunions and get togethers.